Windows PowerShell Desired State Configuration (DSC) dominates conversations about how to configure and manage Windows Servers. Automating PowerShell DSC with Chef makes it safer and easier to manage hundreds or thousands of servers. 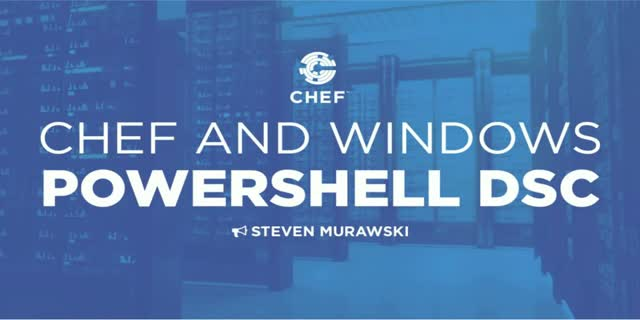 Join Steven Murawski, principal engineer at Chef and one of the pioneers in working with DSC, to learn how you can bring order to chaotic environments by using Chef and DSC together.